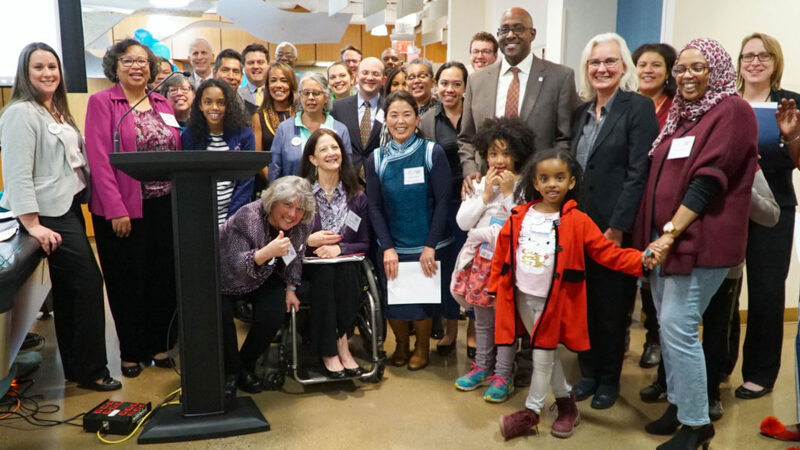 Monday, April 1, community members and County leaders from across Arlington gathered together to officially kick off Census season. 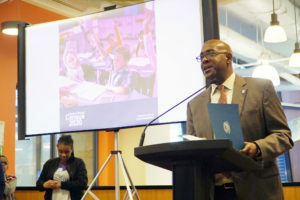 Schwartz was joined at the event by Arlington County Board Chair Christian Dorsey, who offered the Census Proclamation; School Board Member Barbara Kanninen; Ron Brown of the U.S. Census Bureau; and Chuck Bean, Executive Director of the Washington Council of Governments. 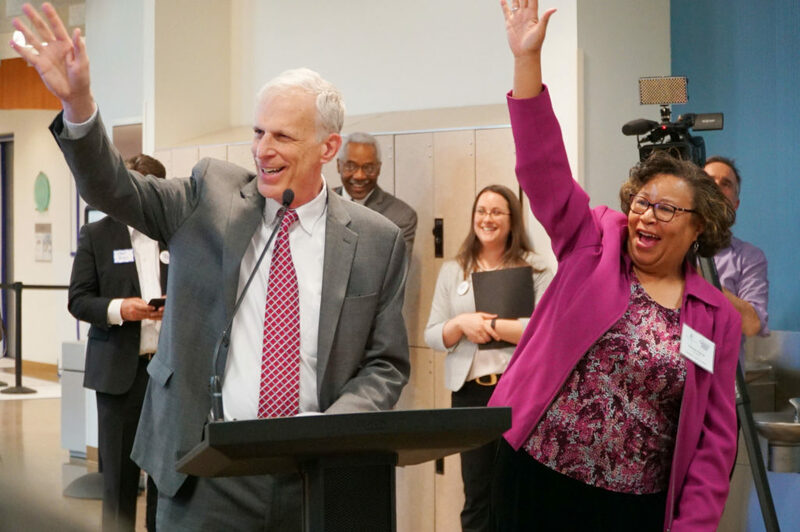 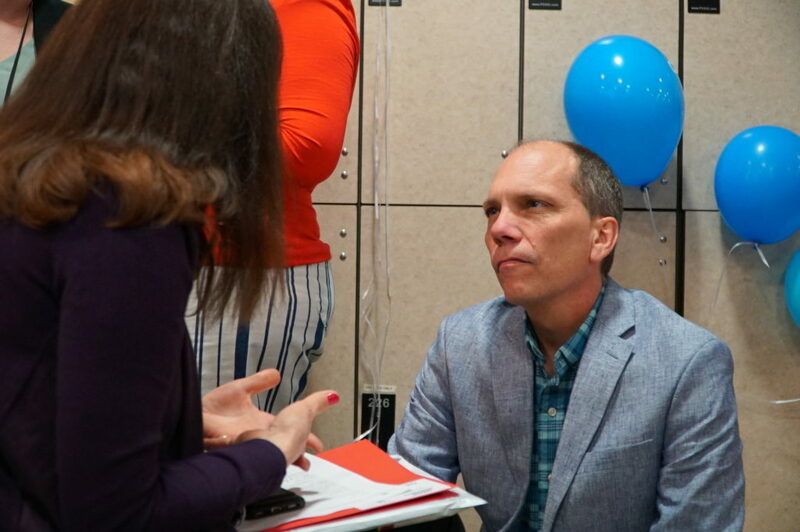 That hard work will be the task of the Complete Count Committee, which has a goal of identifying—and working with—1,000 community partners, organizations, and businesses over the next 365 days. 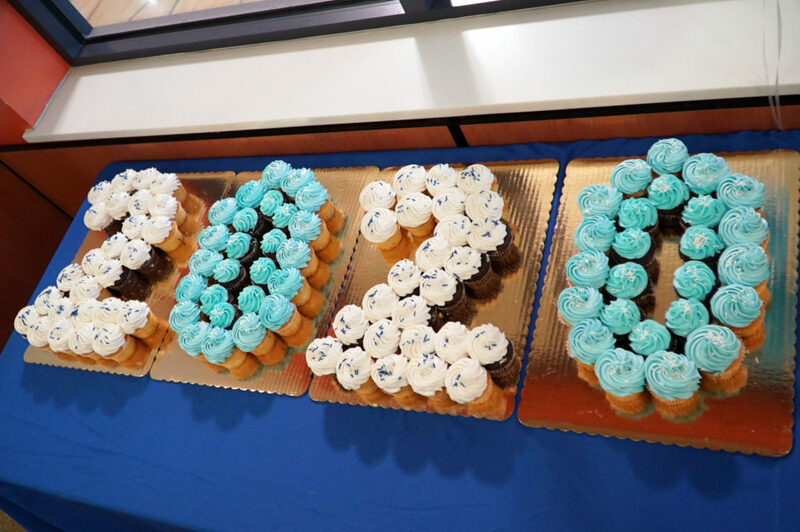 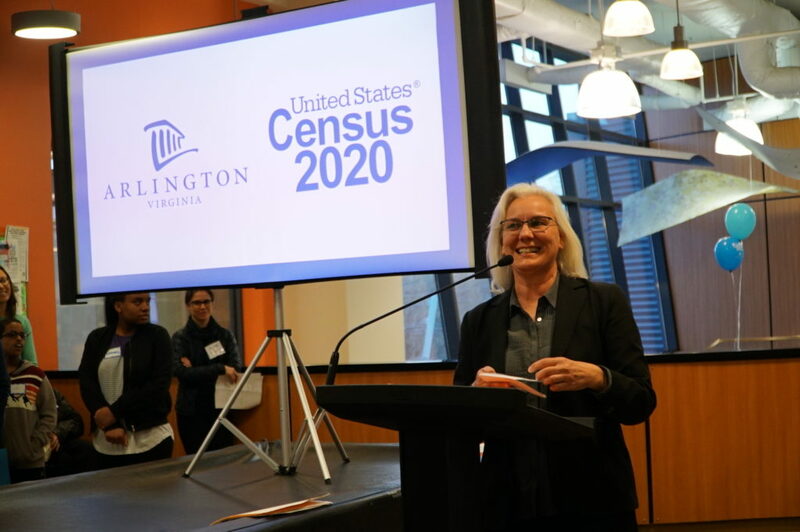 The group is committed to counting every Arlingtonian in the 2020 Census, especially people who are historically undercounted in the Census, such as young people, immigrants, and low-income residents. 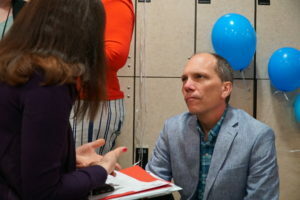 “Our committee is representative of all different types of organizations, ethnicities, religions, everyone across Arlington, because to reach a lot of the hard-to-count populations, we have to have those members on the committee,” said Wanda Pierce, a long-time Nauck resident who is co-chair of the committee. 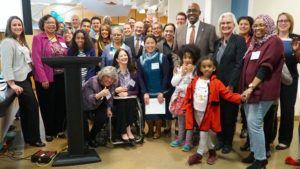 The 39-member committee includes Arlingtonians from north and South Arlington who have a broad range of perspectives, experiences, and interests. 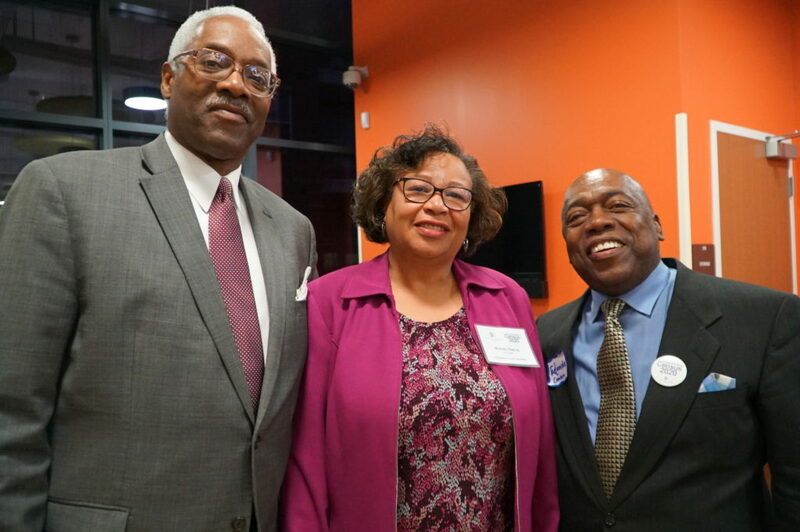 “Information is power, so the committee has to get the information out there, and get it out by people who look like, or who sound like you, or are from your neighborhoods,” Wanda Pierce said. Census data is used to allocate more than $675 billion in federal funding to states and localities across the country, as well as determine the distribution of representation in Congress. 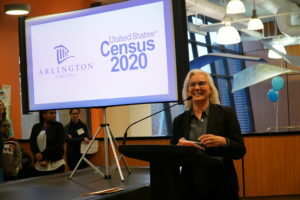 For each person who is not counted, it is estimated that a locality loses $2,000 per year until the next Census 10 years later. 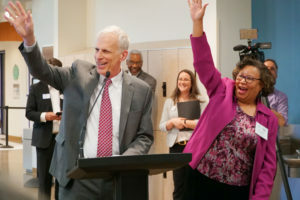 As important as federal funding is for Arlington County—more than $60 million comes to the County each year—for members of the Complete Count Committee, the importance of ensuring every Arlingtonian is counted in the Census goes beyond money.